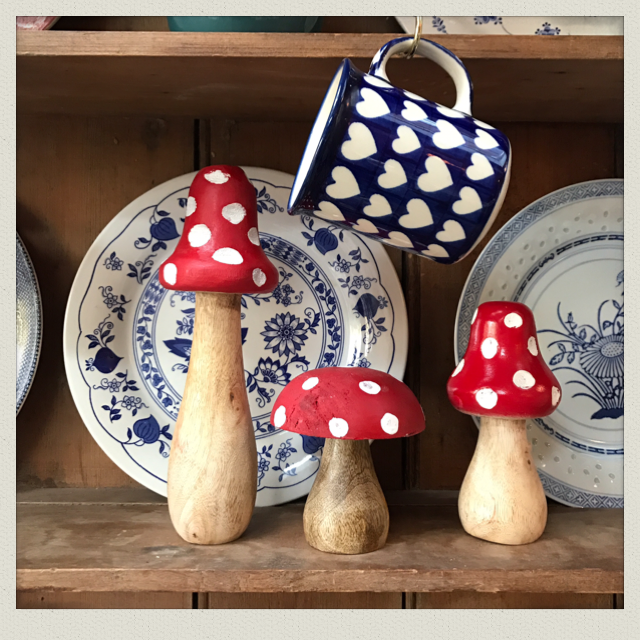 We adore this toadstool standing decoration! Made from wood, it has a rustic wood finish and hand painted cream polka dots on the top. 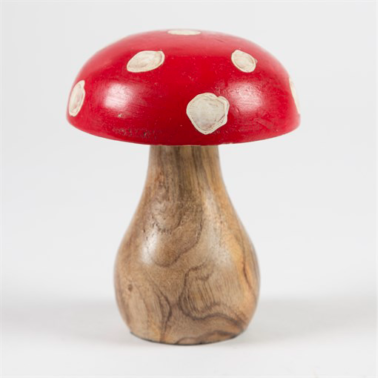 This is perfect for a woodland or fairy tale themed display this Christmas, or for nursery deco.